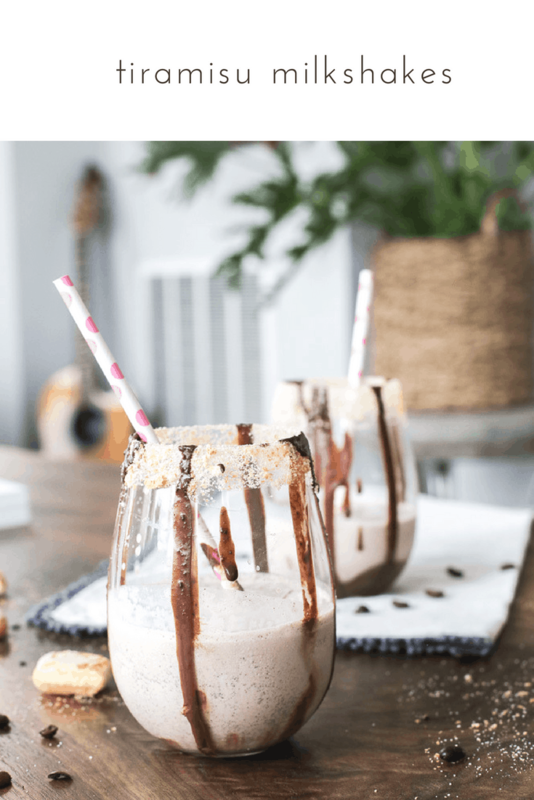 My obsession with tiramisu continues in the form of a tiramisu milkshake. 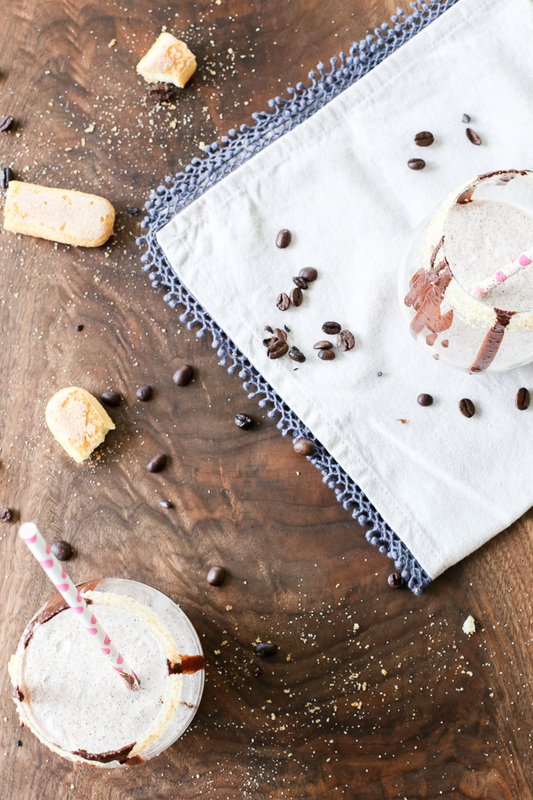 I took the same concept of coffee + ladyfingers + chocolate and put that into a blender with ice cream. It took about 2 minutes to throw this recipe together so I would say it’s a very quick and easy recipe to make. 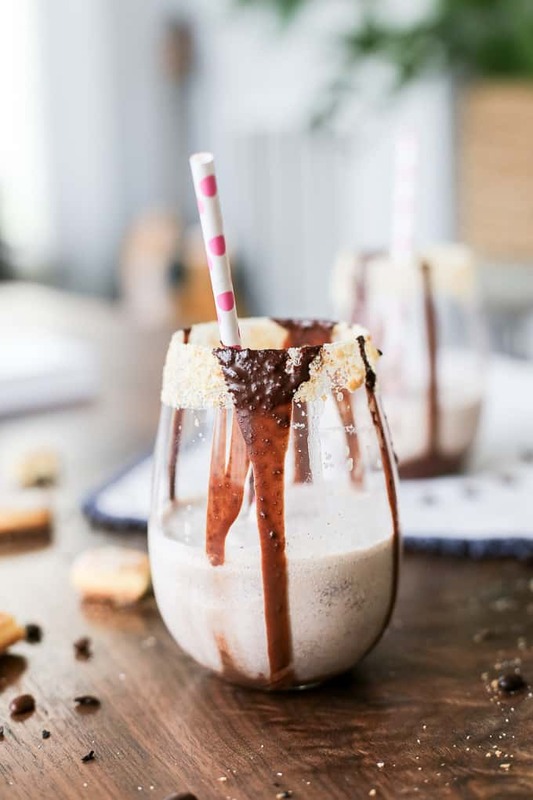 The serving size is meant for 2 people; however, if you really do love milkshakes, you won’t have a difficult time drinking the entire thing yourself as the portion size is pretty small. Have you guys ever noticed how easy it is to drink your calories? 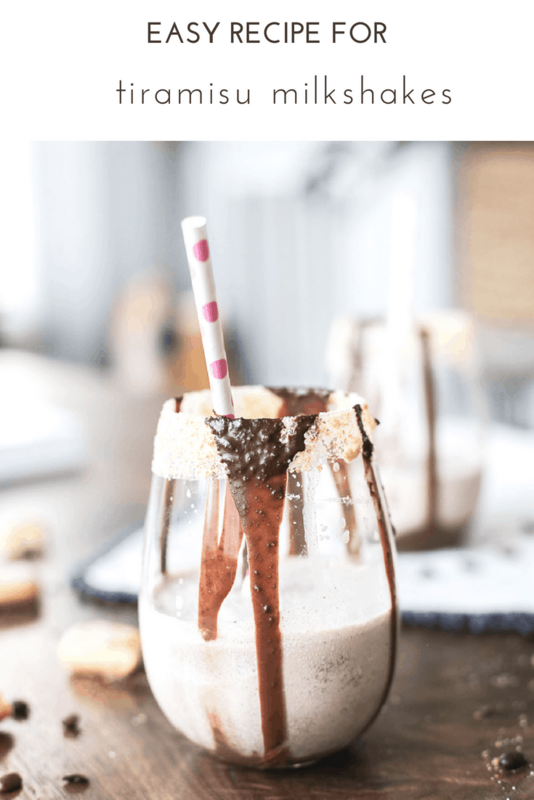 I used 7 scoops of ice cream in this recipe and it doesn’t even come close to the size of a milkshake you’d get at a local fast food restaurant. Funny how misleading it is. You want to know what’s not funny? Frequently drinking chick-fil-a milkshakes and then realizing they contained 900 calories a piece. But I digress. 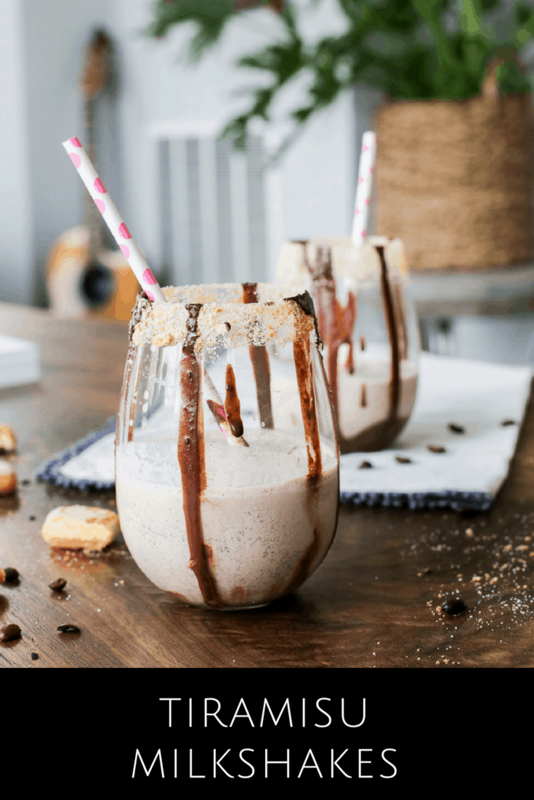 Though this tiramisu milkshake is not healthy by any means it tastes amazing and I think it’s worth the splurge every once in a while! 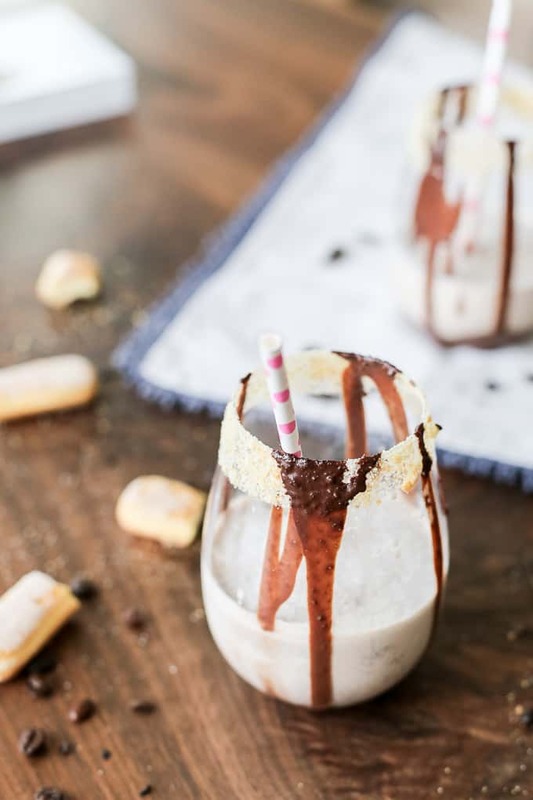 One thing to note…I used hard ladyfingers in this milkshake but if you prefer, you can use soft ladyfingers. 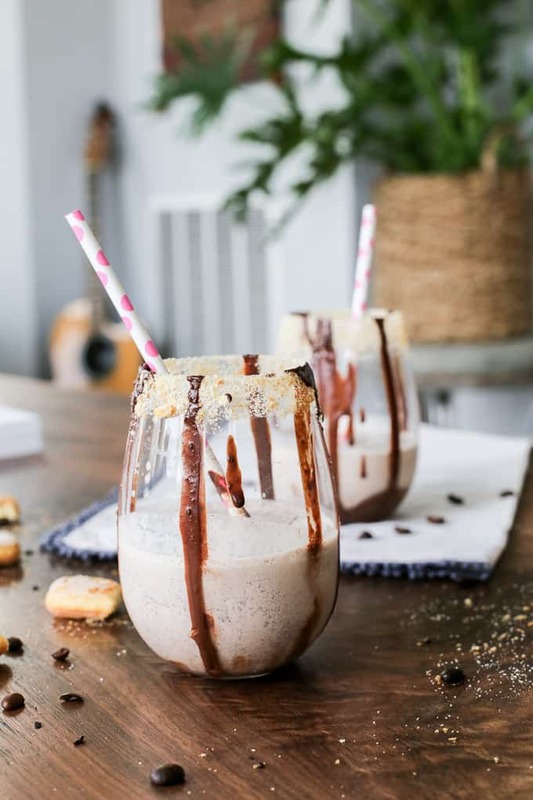 Blend all vanilla ice cream, coffee, ladyfingers, ice cubes, chocolate and heavy cream together in a blender. Dip two glass rims in ice cream. Roll glass in ladyfinger crumbs to coat. Drizzle with chocolate. Pour milkshake into glasses and serve.